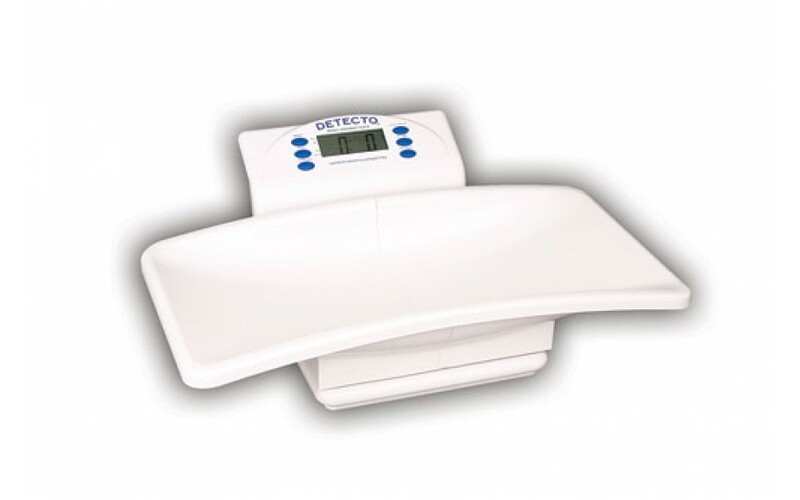 The Detecto 8440 digital baby and toddler scale provides accurate, safe weighing of infants and features selectable weight units, lb-oz or kilograms, display hold, and a memory function. Compact, battery-powered and portable, the 8440 is perfect for visiting nurses, home or wherever space is limited and performance is paramount. 20.5 in. x 10.75 in. 13 in. x 9 3/4 in. x 7 1/4 in.